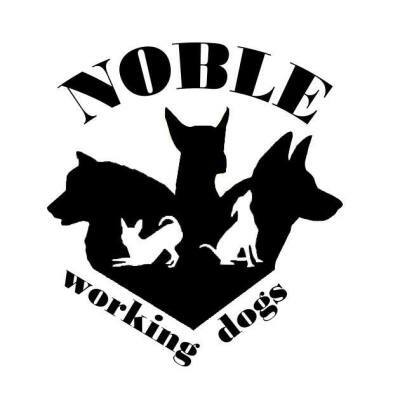 Nobel Working Dogs are a training/breeding program run out of Ogden Utah. We have many years experience of dog sport, behavior modification, professional K-9 work and breeding. Our service Dog program is aiming to provide Service Dogs for reasonable prices. By letting the future handler be a part of the training process. Our Service Dogs are held at a very high standard and will, throughout their active life go trough testing and re-imprint on a regular basis. They will also be subject to independent testing. Our Pet Training program helps the dog owner acquire and improve important skills needed to be a better handler. We work with everyday obedience and also with more advanced training aiming towards the competitive scene. We work both with groups and private sessions. Our Breeding program is a small kennel working to improve the German Shepherd dog breed. Our dogs are AKC registered, health tested and trialed in different sports and other K-9 activities. Our puppies will be excellent sports dogs with high drive and a great desire to work. Puppies are raised in a family environment with children and other dogs. Our goal is to provide high quality services for affordable prices so that everyone can enjoy and have good use for their dog!